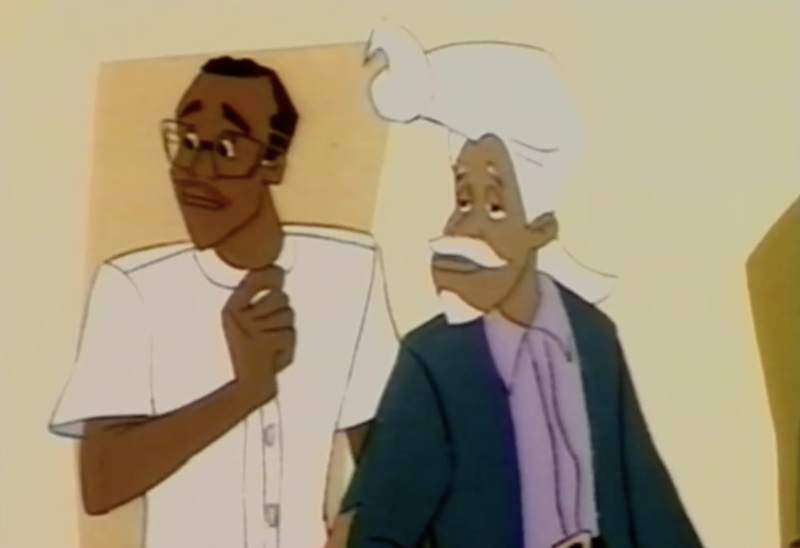 It should come as no surprise that MC Hammer, he of the pop charts and the parachute pants and the very-safe-edginess and the runaway early-90s success, had his own cartoon. 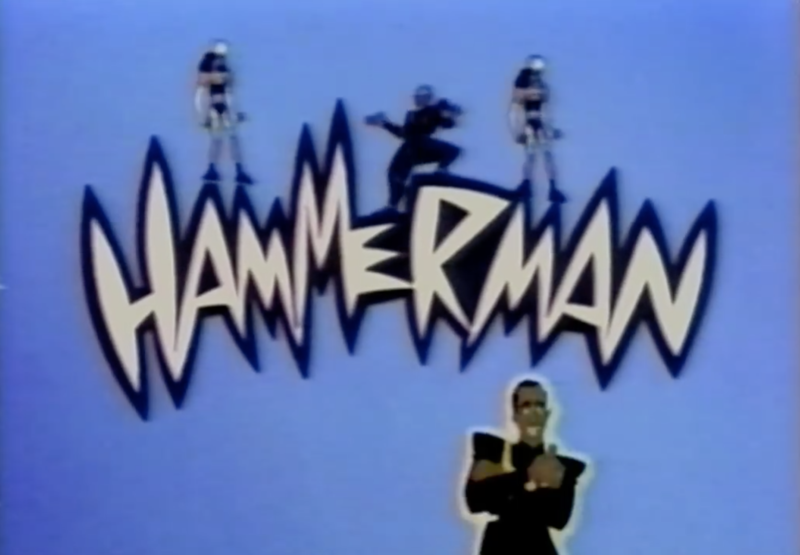 Hammerman ran on ABC in 1991, and only lasted one season. Hammerman follows the adventures of Stanley Burrell, a youth center worker who becomes the superhero Hammerman when he wears a pair of magic shoes passed along from aging superhero Soulman. This is all explained in what is perhaps the laziest theme song ever rapped. That includes the end credits of Leprechaun in the Hood. Hammer hosts each episode with a live action intro and outro, and the episodes usually focus on some issue relevant to kids or a larger societal issue. A villain pops up and Stanley has to turn into Hammerman to put the villain down. The background music gets to dip into the MC Hammer library, which is probably the only standout feature of this series . It’s a pretty lazy effort all around – this sort of thing should be right in my sweet spot, but it’s really tough to watch all the way through. 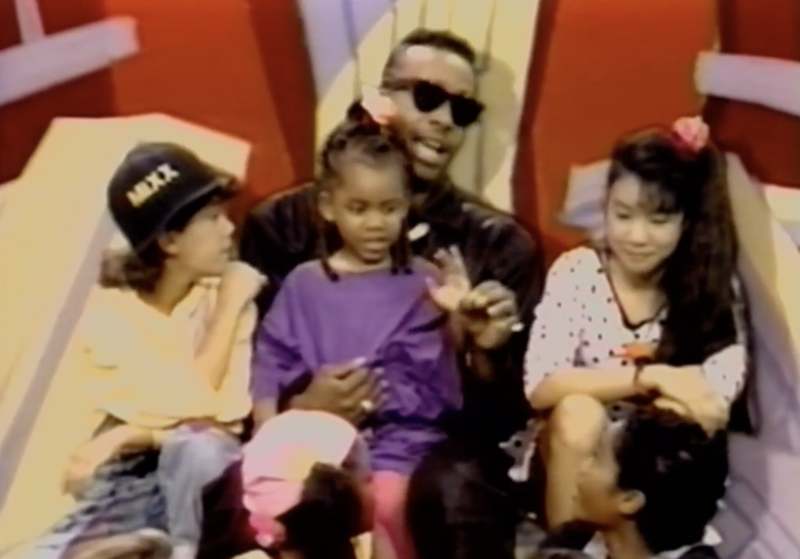 It’s remarkable in its laziness, though, and maybe that goes to show both how iconic MC Hammer was in 1991 and also how eager TV Networks and (maybe) kids were for cartoons related to any already-existing-and-popular property. Here’s an episode. It’s titled “Rap-oleon”. Like Napoleon. Shudder. Jim Henson was contracted to do a series of short films for IBM in the late 1960s and early 1970s. They’re all pretty great, but some of them in particular offer glimpses of the Muppets to come. Here’s one such glimpse – an early Cookie Monster with teeth and claws, eating a sentient computer. A toothed Cookie Monster is a recipe for some real, lasting damage. 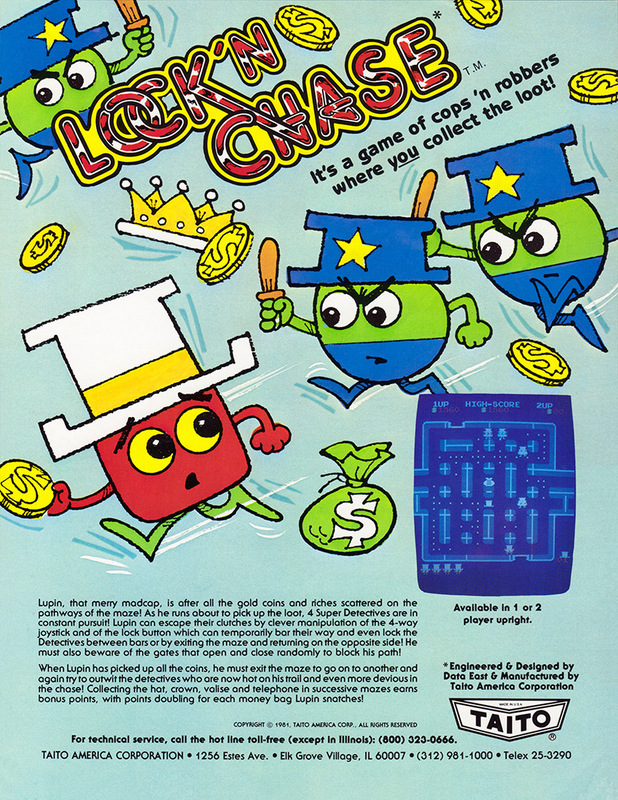 I’m in love with the illustrations in this ad for Data East/Taito’s 1981 Arcade Game Lock’n Chase. A beautiful design for an awful toy. Big Trak was a “programmable” utility vehicle that intelligently performed tasks that you told it to do. I can only imagine how clunky and limited the interface must have been to ‘instruct’ Big Trak to do anything. Also, I’m sorry, but if you program Big Trak to bring me an apple and if Big Trak dumps that apple onto the floor in front of me, I’m not going to eat that apple. As a Coca-Cola kid and a (now) soda-free grown-up, I can safely say that this 1939 animated ad is the best thing I will ever associate with Pepsi.